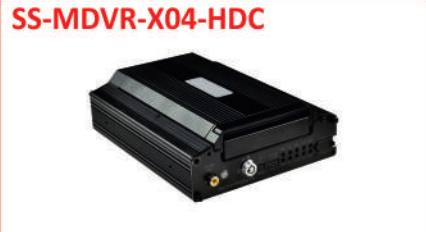 With the help of vendors, our entity is accomplished to provide 4CH D1 Mobile DVR in diverse configurations. Our products are enormously employed in the market owing to their top performance. Founded in 1980, we, Ashok Traders are a trustworthy firm, occupied in trading, distributing, wholesaling, retailing and supplying an excellent series of Landline Phone, Sound Station, CCTV Pinhole Camera, Network Video Recorder, Digital Video Recorder, CCTV Bullet Camera, CCTV Dome Camera, Digital CVR, Digital HVR, Power Supply, CCTV Camera Accessories, Audio Video Conferencing System and many more. These products are developed at vendors end using the best quality component and advanced technology. Our vendors purchase the component only from the dependable and expert retailers of the industry. Presented products are extremely cherished and admired for their longer service life, easy operation, top performance and sturdy structure. In order to cater the precise requirements of customers, we provide these products in diverse technical configurations.